Presentations in English – The Students Take the Floor! Some Saturdays a month I teach them at our local college, the KBZ. They attend a seven-hour course in English (and other subjects, such as Finance, Correspondence in German, Computing and others), in order to be qualified PAs (Personal Assistants) in companies, to CEOs, chairpeople and directors. I truly admire them because apart from three days a week of courses, homework and studying, they also work, do a lot of activities, have families, personal lives, hobbies and even so, they are always full of energy! Our course starts at 07:35 am and finishes at 13:45 pm. This course will go on for two years, and they will sit an exam. Their English exam includes a lot of parts, such as reading comprehension, translation (German into English and vice versa) and they will also be asked to make a presentation. Today, we prepared our first presentation! I chose a very broad, general, simple topic, as their first. 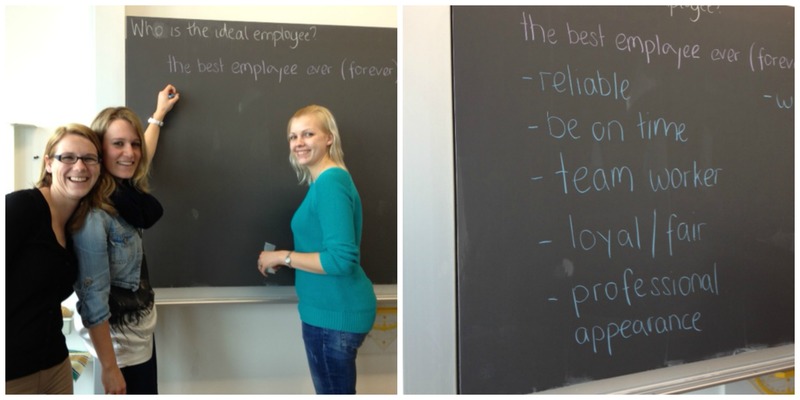 I wanted to give them almost no directions apart from the topic, which was: Who is the ideal employee? They gave me so many ideas for other classes as well. I love when the students take ownership of the learning process! This is all theirs, and I would love to share their work with you all (having obtained permission first). The only other thing apart from the topic that I did was provide them with materials, so they could present any way they liked. 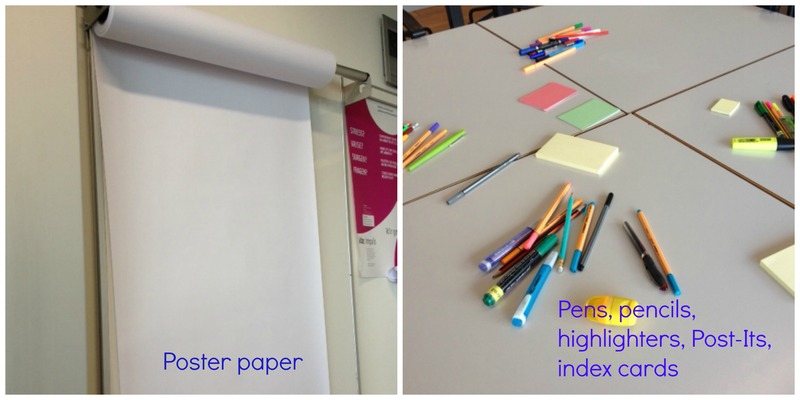 These ladies took blank sheets of A4 paper and made a flow chart, which they attached to the wall with magnets. 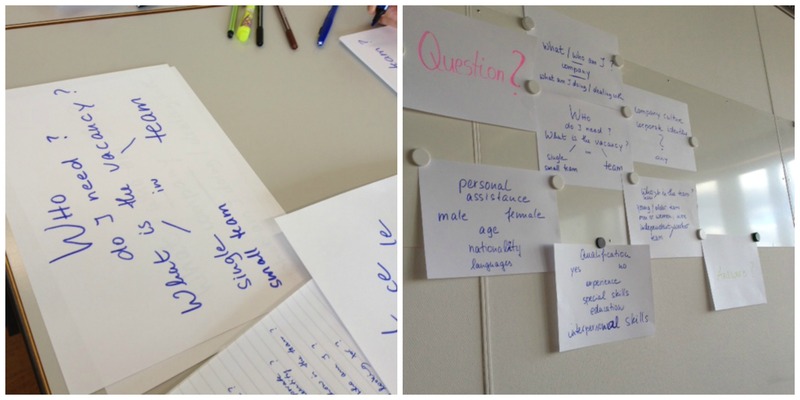 I loved how they followed their own way of presentation – via the use of questions. They tried to find the ideal employee by asking us questions, and made it clear that the answers would come from us – which I thought was a great way of approaching such a broad subject. This group of three ladies chose the chalkboard to write down bullet points, which they then analysed (each one took a bullet point in order, explained why they had chosen it and also gave us examples!). I loved this way of presenting as well. These two ladies used the poster paper. 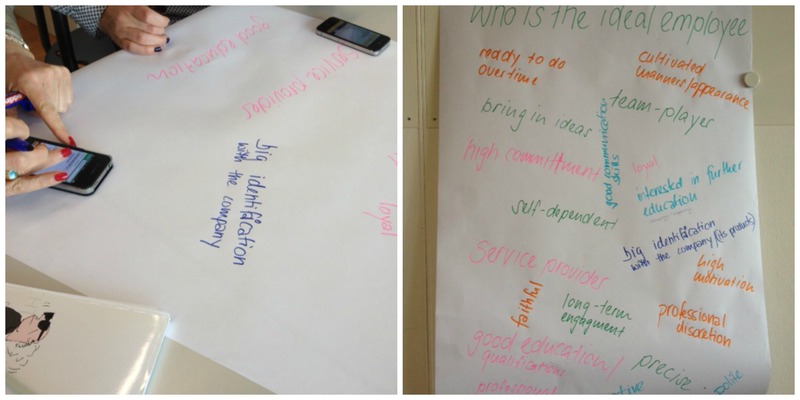 They brainstormed any words or phrases they could think of when taking the ideal employee into consideration, and wrote them in different colours, which made the points stand out. It was colourful and a great visual aid for their presentation! Then they stuck the poster to the wall with magnets and explained each point, which they also illustrated with examples. I can’t wait to explore many more topics with them and other types of presentations as well. 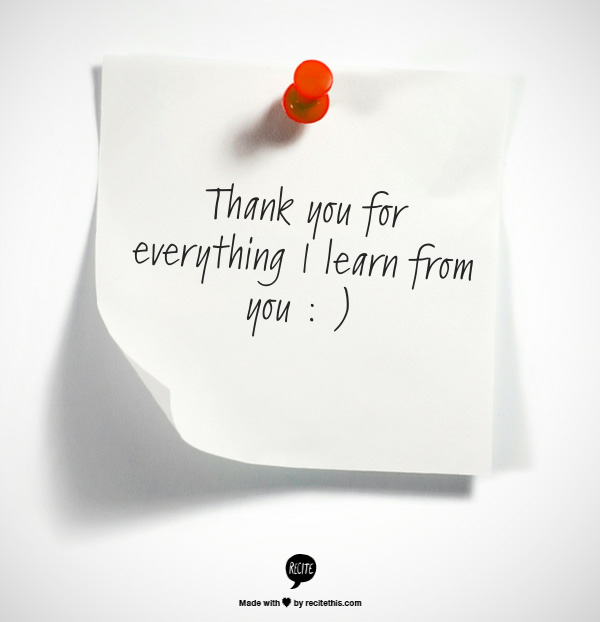 I am so grateful because they are so motivated and willing to learn, that is absolutely contagious for me too! I will be sharing more on the blog. Posted on February 23, 2014 September 3, 2015 by Vicky LorasPosted in Academia, adult learners, Business English, learning, teachingTagged Business English, education, learner autonomy, special moments, students, teaching, tertiary education.